On Thursday this past week, our strategic planning process received some renewed energy. 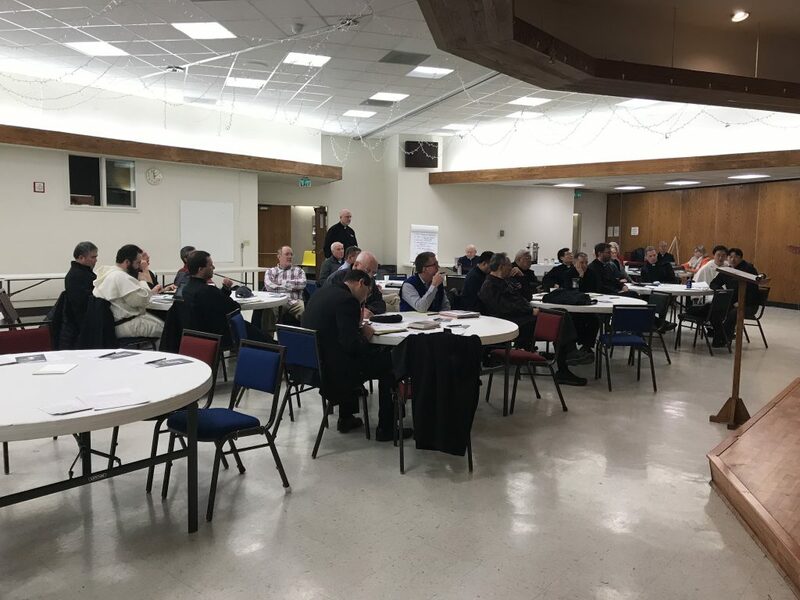 After Listening Sessions held around the Archdiocese last spring, the Leadership Team (Department Heads of Archdiocesan Staff) spent several months studying and summarizing the results and developed from them the Mission, Vision, Values and a set of Priorities. These were shared with the priests of the Archdiocese on Thursday. Paragraph 27: I dream of a “missionary option,” that is, a missionary impulse capable of transforming everything, so that the Church’s customs, ways of doing things, times and schedules, languages and structures can be suitably channeled for the evangelization of today’s world rather than for her self-preservation.. The renewal of structures demanded by pastoral conversion can only be understood in this light: as part of an effort to make them more mission-oriented, to make ordinary pastoral activity on every level more inclusive and open, to inspire in pastoral workers a constant desire to go forth and in this way to elicit a positive response from all those whom Jesus summons to friendship with him. Paragraph 28: The parish is not an outdated institution; precisely because it possesses great flexibility, it can assume quite different contours depending on the openness and missionary creativity of the pastor and the community. While certainly not the only institution which evangelizes, if it proves capable of self-renewal and constant adaptivity, it continues to be “the Church living in the midst of the homes of her sons and daughters.” … In all its activities, the parish encourages and trains its members to be evangelizers. It is a community of communities, a sanctuary where the thirsty come to drink in the midst of their journey, and a center of constant missionary outreach. We must admit, though, that the call to review and renew our parishes has not yet sufficed to bring them nearer to people, to make them environments of living communion and participation, and to make them completely mission-oriented. Paragraph 30: I encourage each particular Church to undertake a resolute process of discernment, purification and reform. Paragraph 31: The principal aim of these participatory processes should not be eccleseastical organization but rather the missionary aspiration of reaching everyone. Paragraph 33: I invite everyone to be bold and creative in this task of rethinking the goals, structures, style and methods of evangelization in their respective communities. Once we reached a general consensus that the proposed Mission, Vision, Values and Priorities as written represent a good foundation for our work, we broke into small groups to begin discussing what success under each of these priorities would look like in any given parish. I invite each of you to please pray for the ongoing work of this planning process. I also ask that your prayer find its orientation in the quotes from The Joy of the Gospel above. 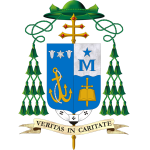 Even now, I ask that every parish and each individual begin praying for the kind of pastoral conversion that will help us advance the mission of the Church in this Archdiocese. As the plan takes shape, we will bring it back to the priests and others for feedback, and continue to shape and write it in a manner that it can give clear guidance to our mission. Our goal is to be ready to promulgate this plan sometime in September of this year.